" By the beginning of the first century the Korean peninsula had 3 early-feudal kingdoms: Koguryo, Packche and Shilla. 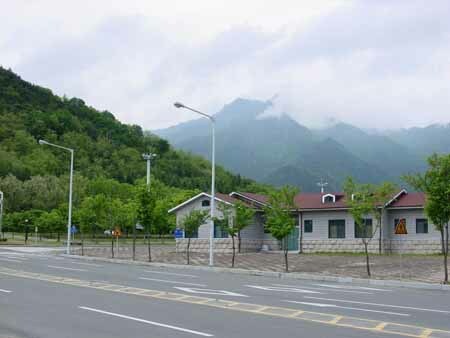 At the end of Xth century the peninsula was united under the power of the Koryo Dynasty. In XIII - XIV centuries the country was under the Mongolian power. Later Korea was under the control of different Chinese emperors. 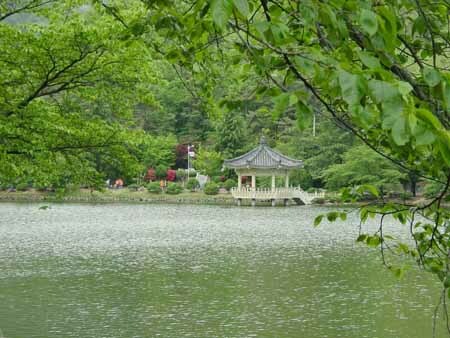 At the end of XIX century, according to the Japanese and Chinese agreement, Korea was declared an independent state. However, in 1910 Japan occupied Korea and joined it to the Japanese empire as the Choson province. In 1945, according to the documents of the Potsdam conference, the 38th parallel was marked as a line that divided the occupation zones between the Soviet and American forces. In 1948 two Korean states were founded. The republic of Korea was declared on August 15 1948. In 1950 - 1953 the country went through the war with KHÄP. The war destroyed the economy of Korea almost completely. On May 16 1961 the military overturn resulted in two decades of military governing. Today the country is considered democratic, but the totalitarian traditions are still strong, and the way of life is determined by the regime's regulations and laws. But remember that at present the economy of South Korea is growing up rapidly, the technical progress goes on with great strides so that this piece of land can be compared with Japan in the volume of the industrial production. 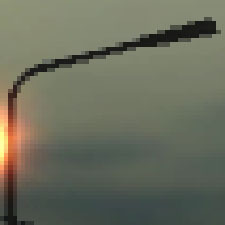 The industries connected with the IT technologies are developing best of all. 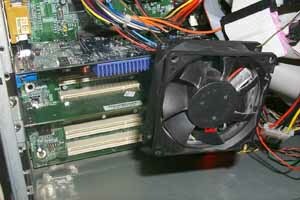 And first of all, it is the computer industry... "
Here we should start speaking about SuperMicro Systems Corp., or simply SUMA. For a long time we called it SUMA, though it's not true. 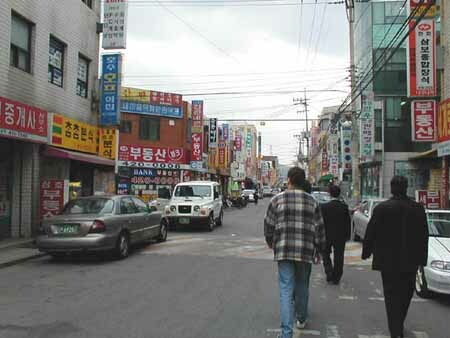 This company was founded in Seoul, the capital of South Korea, in 1998, that is why this is a relatively young firm. However, for 4 years the company achieved a great success. First of all, in the homeland. 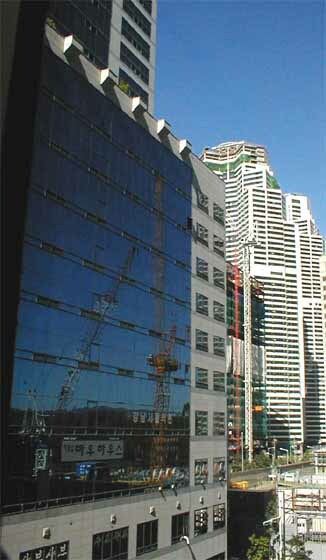 In 2001 SUMA took the first place among all firms in Korea in the pace of development. In the beginning the company produced stuff by request of OEMs, and primarily for Samsung. 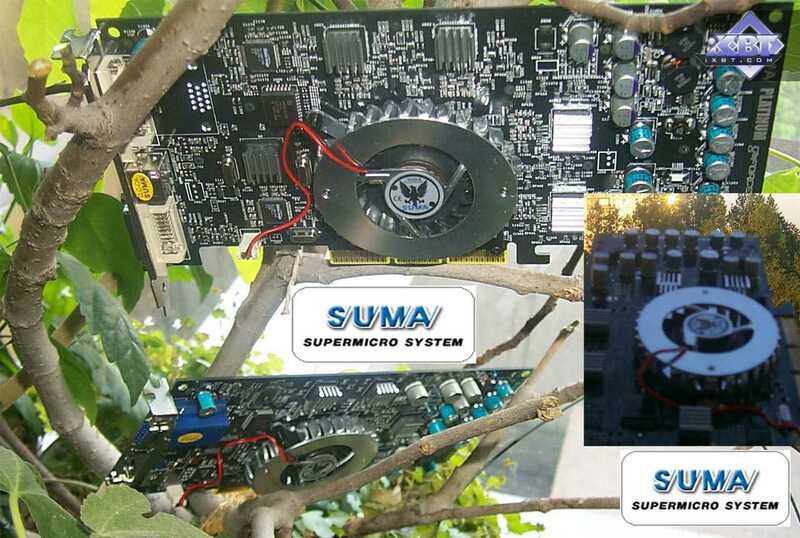 Among first products of SUMA were 3dfx Banshee based cards. 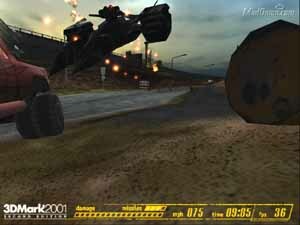 But this was the first and the last attempt of the company of working with products of non-NVIDIA processor makers. 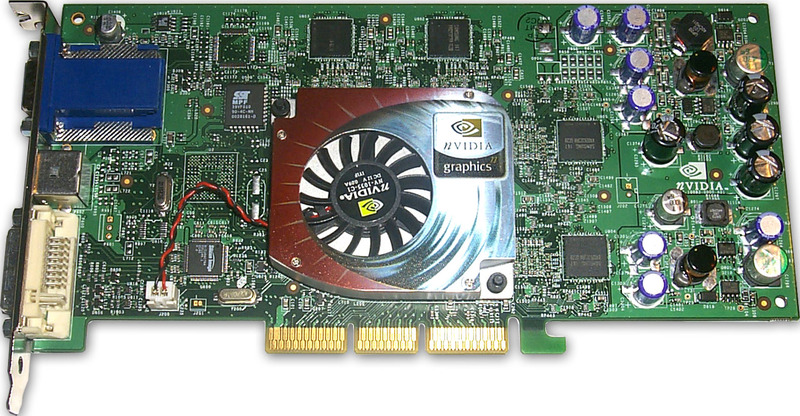 Later all SUMA's video cards were based on the NVIDIA's chips. 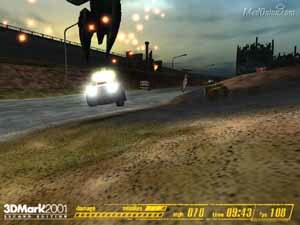 In 2000 the company entered the Retail market with its Platinum series. Today video cards from SUMA are very popular and have a great deal of fans. 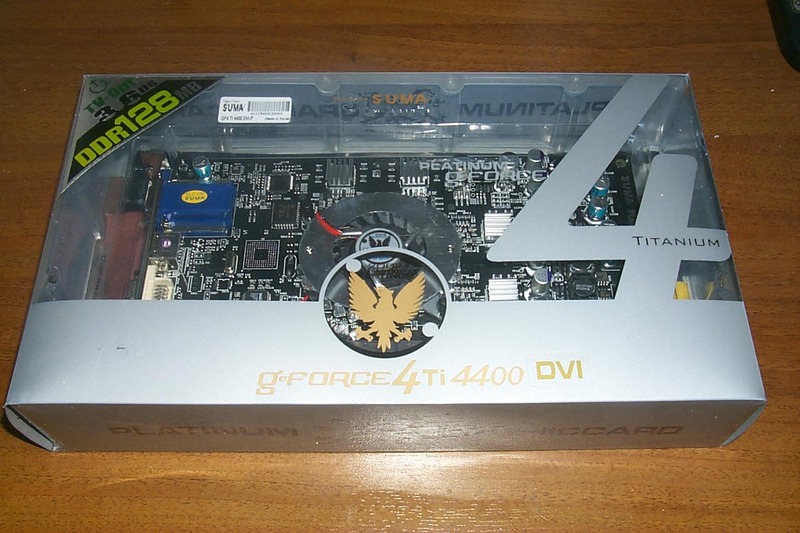 Before we go further into examining the today's samples let's see what reviews of the GeForce4 Ti cards we already have. 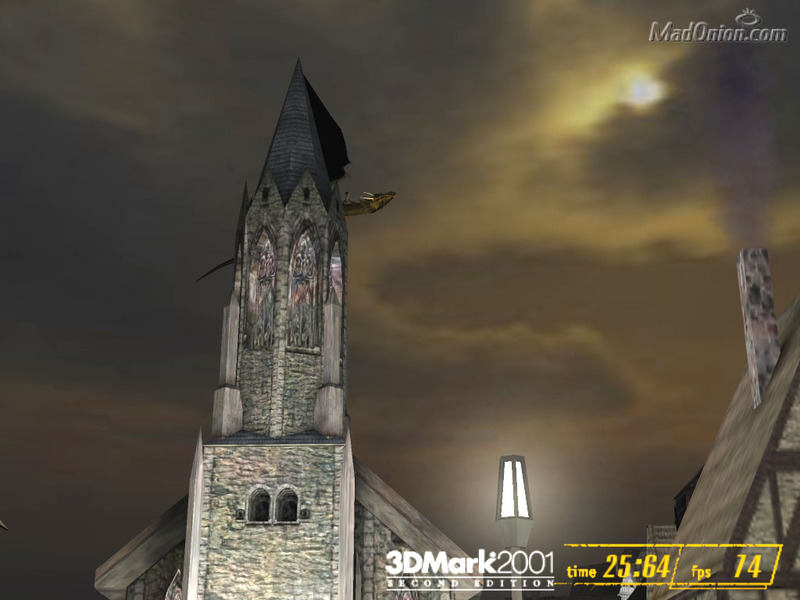 MSI GF4Ti4600 on NVIDIA GeForce4 Ti - concerns anisotropic filtering in the 3DMark2001 SE, and new Advanced Pixel Shader Test from this packet. 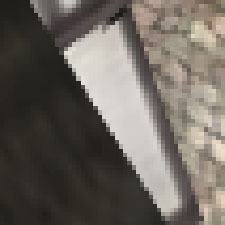 Leadtek WinFast GeForce4 Ti 4600 on NVIDIA GeForce4 Ti 4600 - tests based on the Vulpine GLMark with anisotropy enabled. 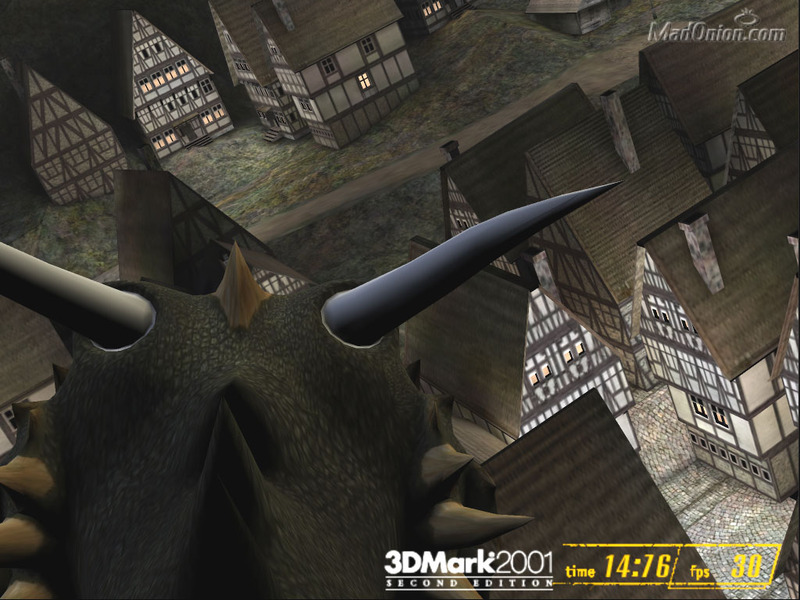 Gainward PowerPack GeForce4 Ultra/700XP and Ultra/750XP Golden Sample on NVIDIA GeForce4 Ti 4400/4600 - Codecult Code Creatures and Novalogic Comanche4 Benchmark. 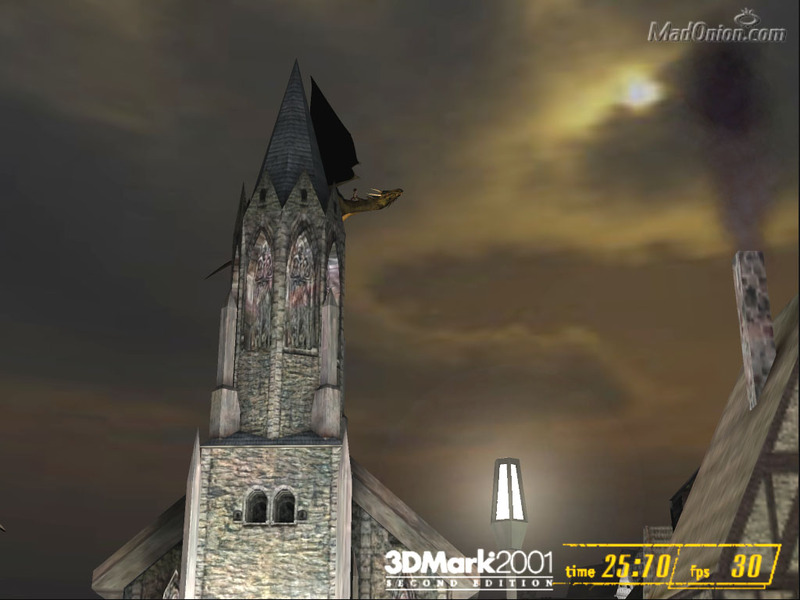 Chaintech A-GF61 SE on NVIDIA GeForce4 Ti 4600 - dependence of the performance on a CPU speed (AMD Athlon 750, 1000 MHz, Athlon XP 1250, 1666 MHz; in Serious Sam II, Return to Castle Wolfenstein). Creative 3D Blaster GeForce4 Ti 4400 on NVIDIA GeForce4 Ti 4400 - dependence of the performance on a CPU speed (Intel Pentium III 1000, Pentium 4 2000, 2200 MHz; in Serious Sam II, Return to Castle Wolfenstein). ASUS V8440 and V8460 on NVIDIA GeForce4 Ti 4400 and 4600 - dependence of the performance on a CPU speed (Intel Pentium III 1000, Pentium 4 2000, 2200 MHz, AMD Athlon 750, 1000 MHz, Athlon XP 1250, 1666 MHz; in 3DMark2001 SE). ABIT Siluro GF4 Ti on NVIDIA GeForce4 Ti 4400 - AA operation in the 3DMark2001 SE. Palit Daytona GeForce4 Ti 4600 - operation of anisotropy on different platforms based on the 3DMark2001 SE (Game1, Game2). Joytech Apollo Bloody Monster II GeForce4 Ti 4600 - estimation of anisotropy operation on different platforms in 3DMark2001 SE (Game3, Game4). 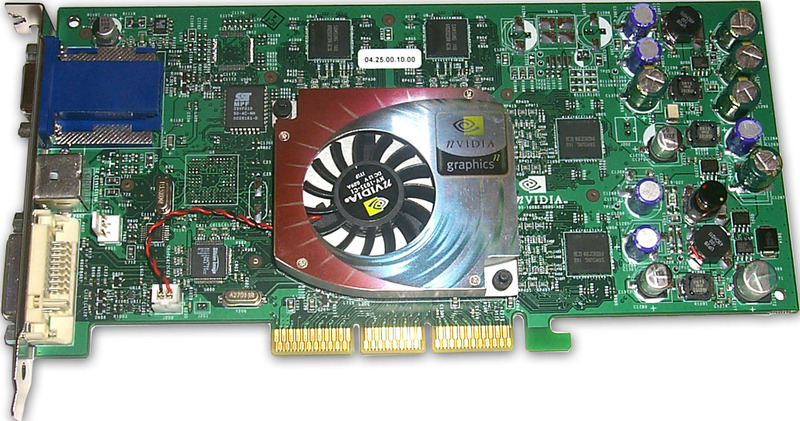 SUMA produces almost the whole range of cards on the NVIDIA's GPUs. 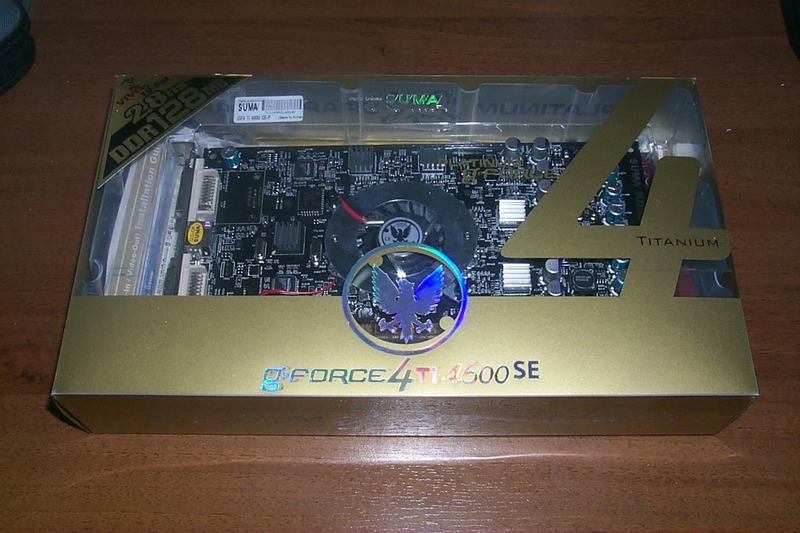 That is why when the GeForce4 Ti just appeared on the market this Korean company was among those who expressed a desire to make a card on it. 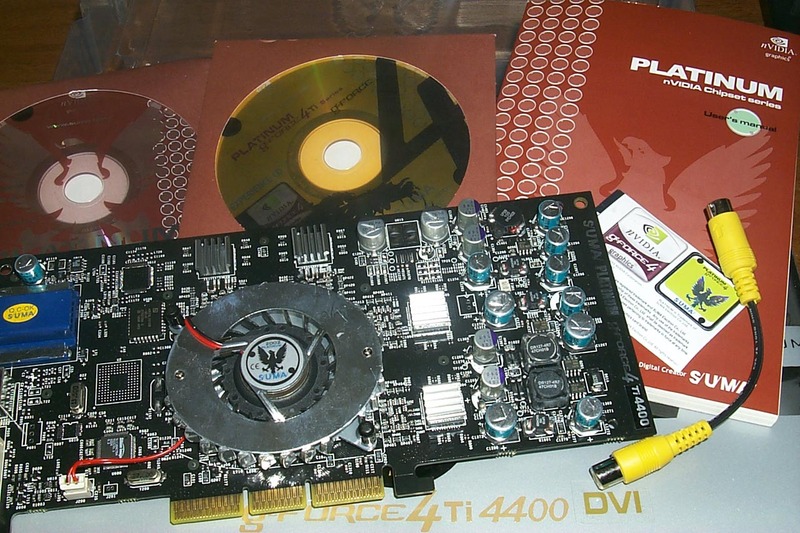 Today we will examine two cards - SUMA Platinum GeForce4 Ti 4400 DVI and Platinum GeForce4 Ti 4600 SE. 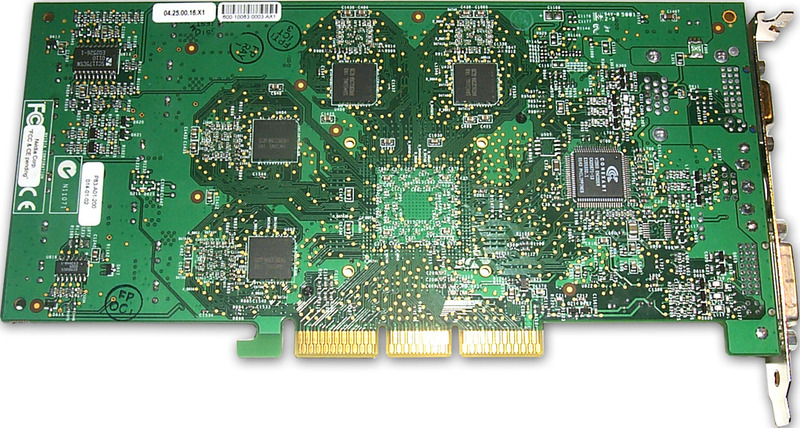 Both cards have an AGP x2/x4 interface, 128 MBytes DDR SDRAM located in 8 chips on both sides of the PCB. 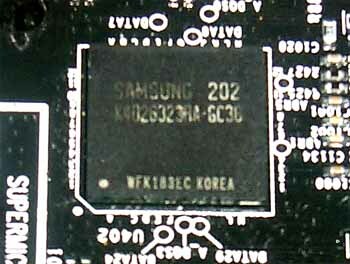 The card has Samsung memory modules with the 3.6ns access time which corresponds to 275 (550) MHz. 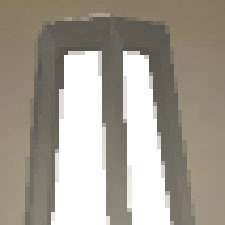 The memory does work at it. 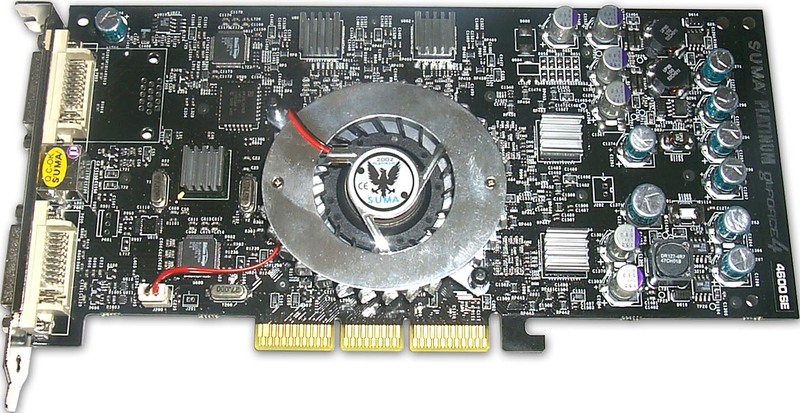 The GPU runs at 275 MHz which is typical of the Ti 4400. 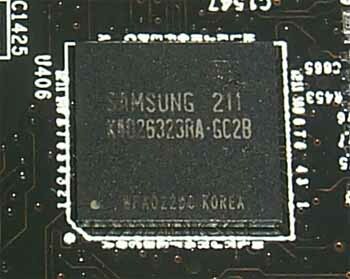 The card has Samsung memory of the 2.8ns access time which corresponds to 357 (714) MHz. The card operates at the rated for Ti 4600 frequency - 300/325 (650) MHz. 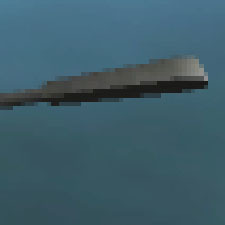 There are some slight differences from the reference design in the right parts. It seems that SUMA redesigned a unit which controls power supply to the components. Note that we noticed no any deviations in stability. The PCB is traditionally black. Silvery (or maybe platinum :-) letters of the name are on the right. The suffixes DVI and SE are made in the form of stickers. 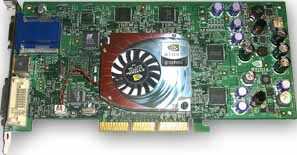 As far as "DVI" is concerned the idea is clear: before the Ti 4400 card was released there was a card without DVI (and of course, without a dual-head support, from the nView's standpoint). 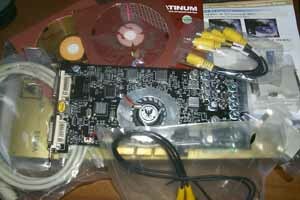 The SE of the Ti 4600 card implies that it supports VIVO. 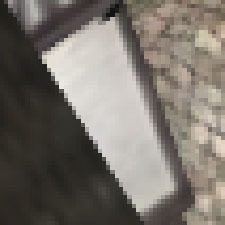 The card without SE comes with a simple TV-out. 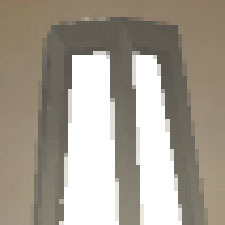 The cooling device is similar to what you could see in the ASUSTeK review. The cooler is unusual: its fan looks like a turbine. Besides, the heatsink is very big. That is why the cooler is quite heavy, though it is made of aluminum. 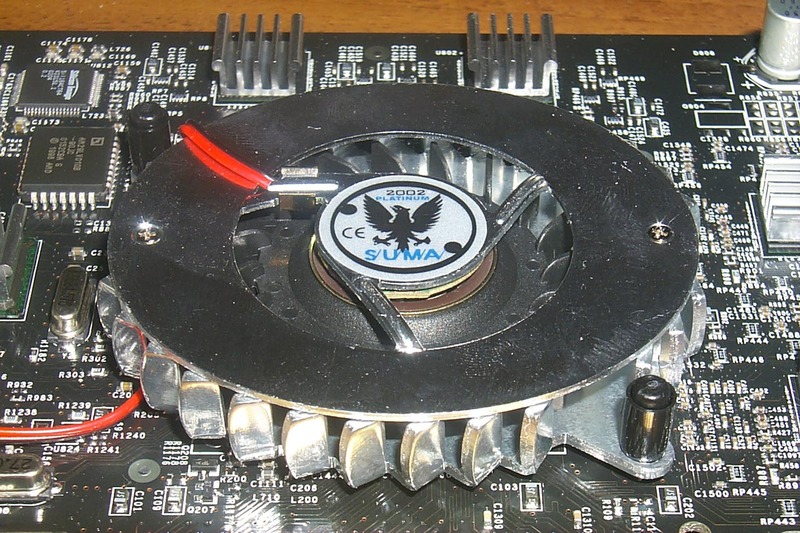 The SUMA's logo with an eagle is located in the center of the heatsink. Such design makes the cards very stylish. 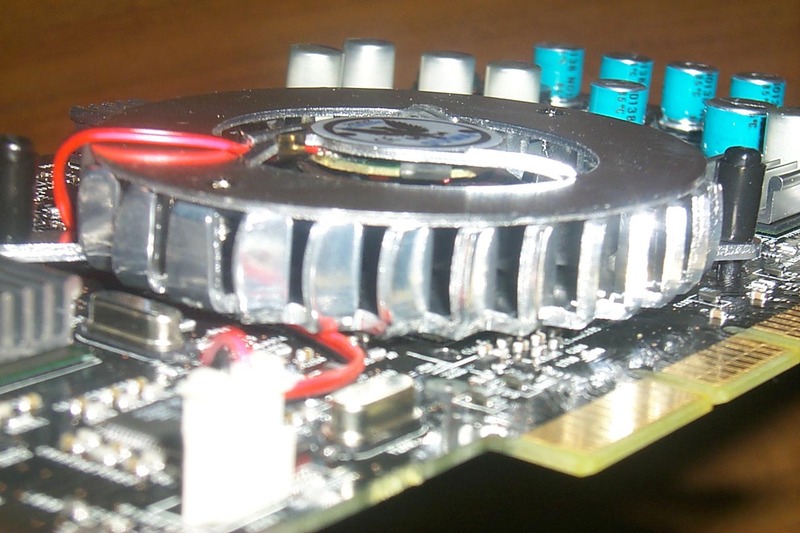 Besides, the memory chips are covered with elegant heatsinks (which are not paired). 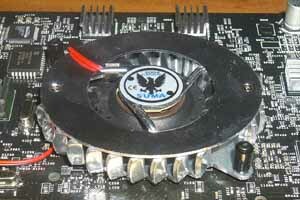 The SUMA Platinum GeForce4 Ti 4600 SE comes with the GeForce4 Ti 4600 chip produced at the beginning of March, it doesn't have a codename. 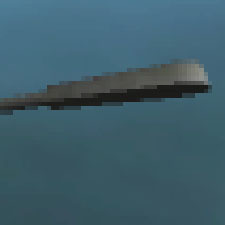 Besides, you must have noticed a new stepping A3 (revision). 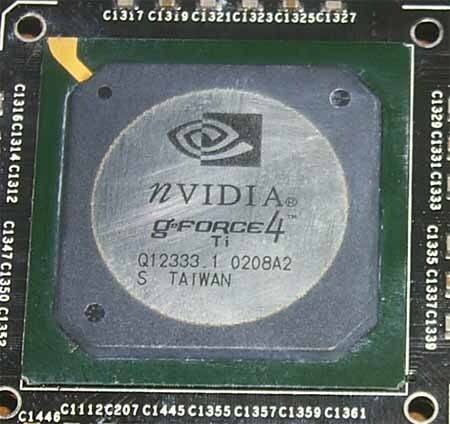 The Platinum GeForce4 Ti 4400 DVI card has a processor produced at the end of February, also just with the marking (but without figures 4400). The chip is of the A2 revision. 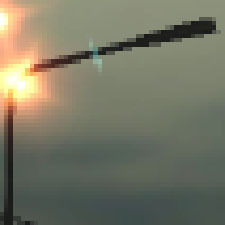 Furthermore, the Ti 4400 has DVI and d-Sub connectors unsoldered, while the Ti 4600 has two DVIs. Two CRT monitors can be connected with DVI-to-VGA adapters (which are supplied with the cards). The Ti 4400 model is equipped with the TV-out, which works via the Conexant codec and the Ti 4600 SE model has a Philips 7108 processor. 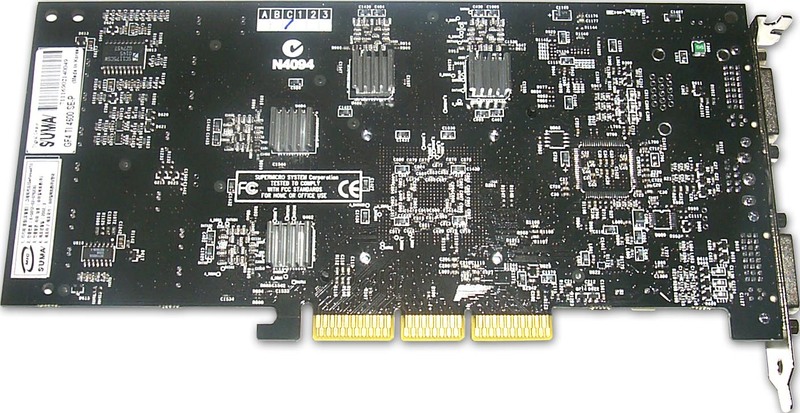 This DAC/ADC controls VIVO (Video-In Video-Out). Quality of operation of the TV-out and VIVO in such cards was already estimated (see the list above). 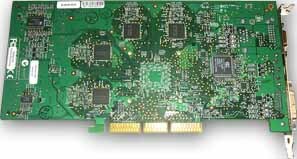 However, I couldn't find the software for VIVO among the accessories of the Ti 4600 based card (as you know, it is not FreeWare). Now let's jump into the packages. The package contains: user manual, CD with drivers and utilities, Experience CD with demo programs from NVIDIA, DVI-to-VGA adapter, S-Video-to-RCA adapter, stickers with the logos of SUMA and NVIDIA. 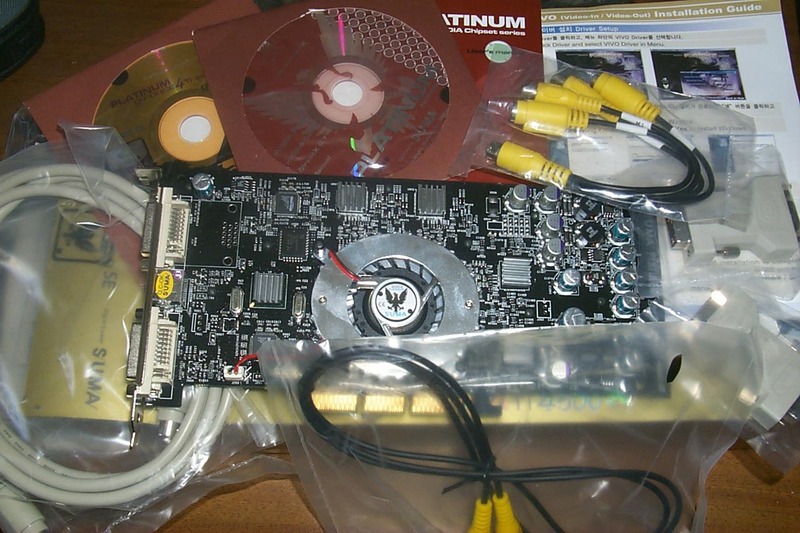 The package contains: user manual, CD with drivers and utilities, Experience CD with demo programs from NVIDIA, 2 DVI-to-VGA adapter, VIVO adapter-splitter, stickers with the logos of SUMA and NVIDIA. Both cards ship in the retail packages. This card ships in a traditional plastic box. 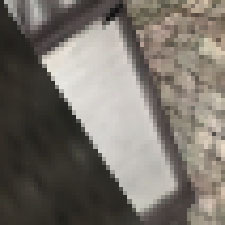 The front side shows large figure 4 and a sticker in the corner indicating the access time of the memory. 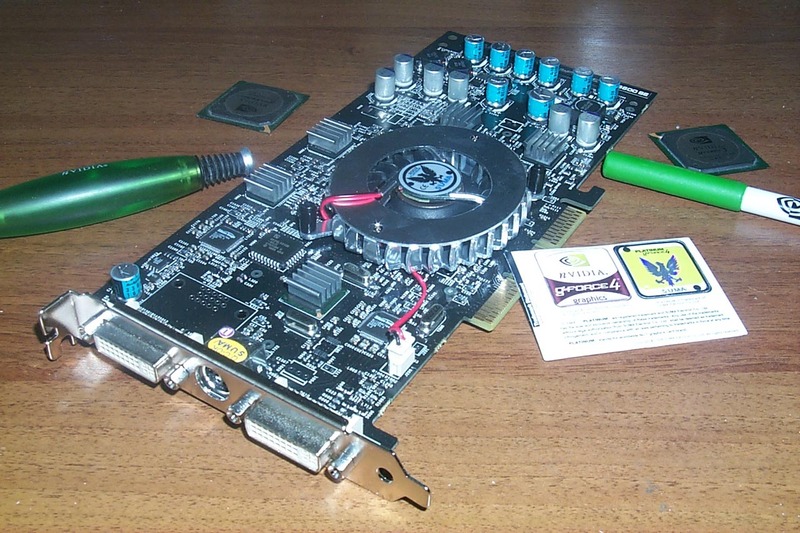 The box of this card differs only in holographic images, and in the sticker which this time indicates the 2.8 ns access time of the memory and VIVO. The overclocking results are moderate (especially of the Ti 4600). 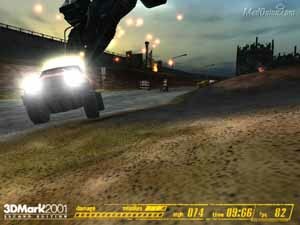 In the tests we used NVIDIA's drivers of v28.90. VSync was off, S3TC was off. ATI RADEON 8500 (RADEON 8500, 275/275 (550) MHz, 128 MB, driver 6.052). 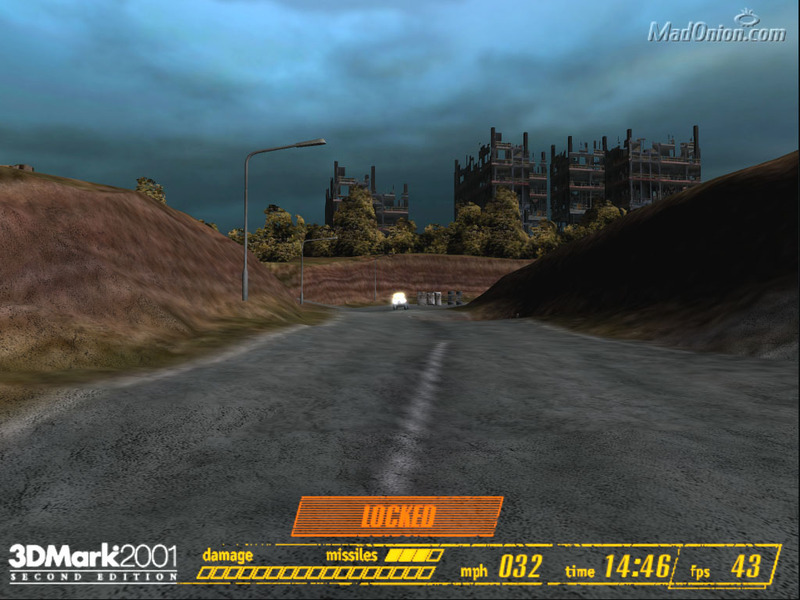 The 2D quality is superb, no problems even at 1600x1200x85 Hz. The tests were carried out in the 32-bit color mode. For each test I made two diagrams which group the results differently (for processors and for video cards/AA modes). 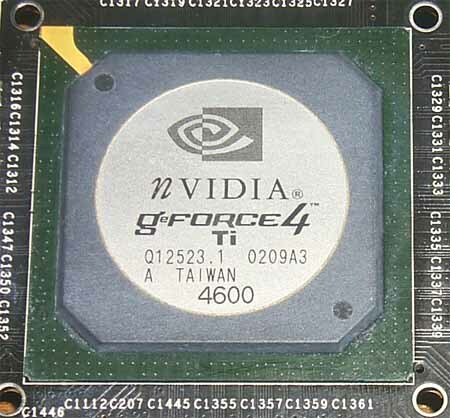 Note that we do not compare AA quality of the GeForce4 Ti and GeForce3 Ti 500 as it was done in the ABIT Siluro GF4 Ti review. 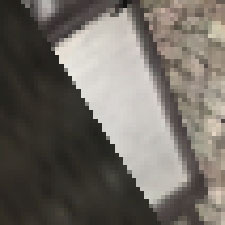 I have chosen the 4x mode of the SmoothVision (ATI) (Performance and Quality) as it is the closest in quality to the 4x and 4xS of NVIDIA and it demonstrates acceptable speed and performance in 1024x768. As you can see, the ATI 4xP mode gives better quality than the NVIDIA's Quincunx. We can compare them only in quality, not in speed. The performance drop of the RADEON 8500 is great, on all processors and platforms. This resolution makes stronger the victory of the NVIDIA cards in the AA modes. In case of the anisotropic filtering the RADEON 8500 was a leader, and here it is vice versa. 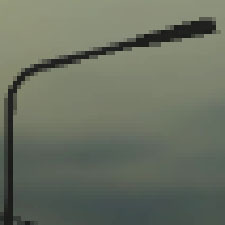 Note that AA is one more component which improves image quality. The RADEON 8500 128 MBytes works strangely: sometimes its performance is much better than that of the 64 MHz model, sometimes it is worse. We retested it but got the same. 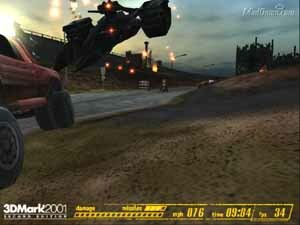 In all other respects the situation is similar to the Game1. 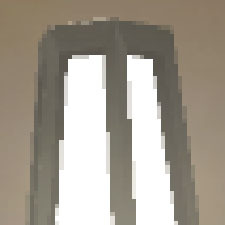 Just note that quality of the AA 4xP of ATI is a little better than that of the NVIDIA's AA Quincunx. The situation is similar, it is just a tad worse for the RADEON 8500. Note that the 128 MBytes memory of the NVIDIA's cards allows them to activate AA 4x in 1280x1024, though the same amount of memory on the RADEON 8500 based card doesn't help it enable the AA 4xQ. 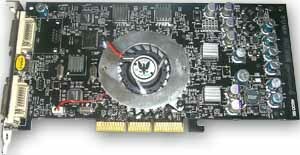 Next time, in the review of the silvery Triplex GF4 Ti 4600 card we will analyze Game3 and Game4 tests. 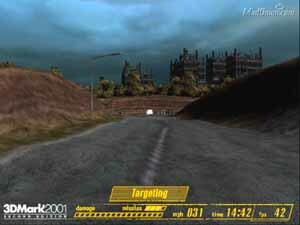 When the AA is enabled, the GeForce4 Ti based cards are real winners. Next time we will estimate operation of these cards with the AA and anisotropy enabled simultaneously. 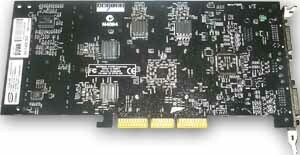 The S/U/M/A cards are based on a little altered reference design; quality of soldering and quality of all the components is excellent. 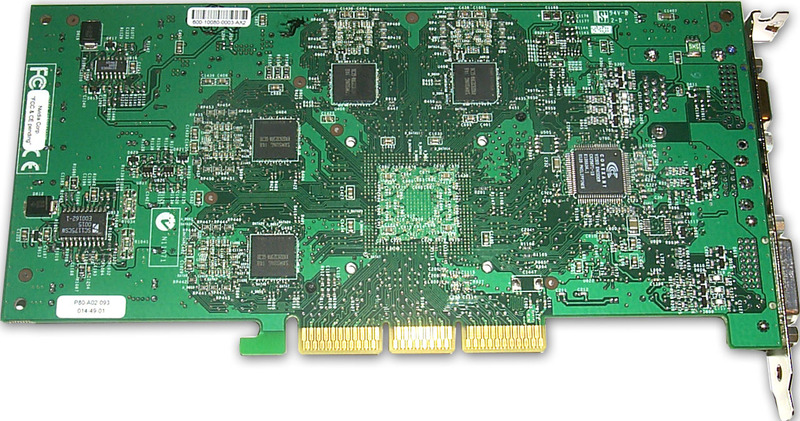 The GeForce4 Ti 4600 based card comes with VIVO (though the software is lacking); besides, both cards have heatsinks on their memory modules. Finally, they have a traditional stylish package which is pleasant to look at. Having analyzed the price changes on the market, we can see that prices of such cards have recently dropped considerably; and it makes them closer to consumers. The complete characteristics of video cards of this and other classes can be found in our 3Digest . 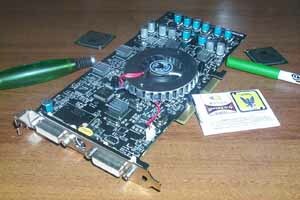 Lack of the software for VIVO for the SUMA Platinum GeForce4 Ti 4600 SE card.